I was crushing on Olivia Newton-John in 1980. Not as her incarnation as Sandy, the goody-goody-turned-juvenile-delinquent in Grease, but as Kira, the muse in Xanadu...you know, the movie where she’s roller-skating all over downtown LA dressed in a curtain. She entered the Prime Material plane through a mural and was a muse to artists (that’s me). She was magic—as in she glowed in magical neon colors and sang a song letting you that she was magic and nothing could stand in her way. 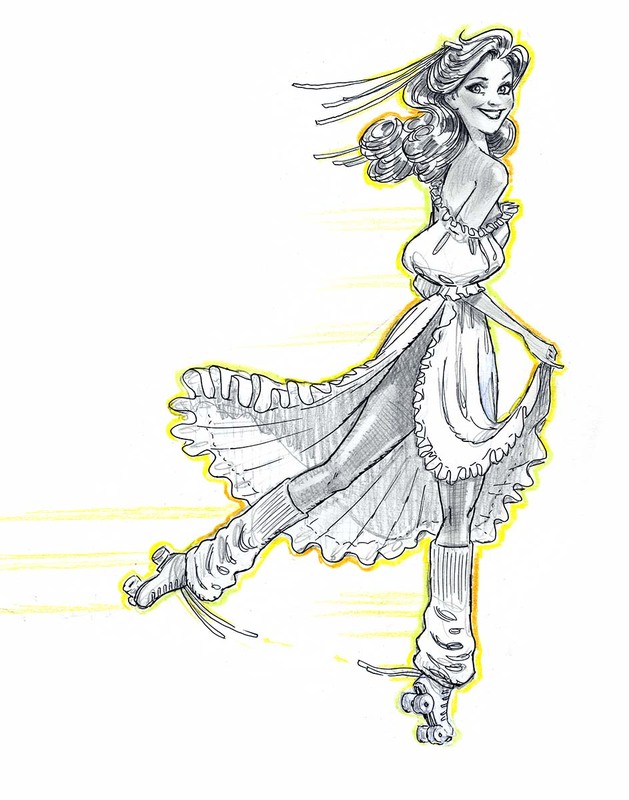 She could transport you into a Don Bluth cartoon with the snap of her fingers. She was a time traveler. Whether she was a crooner in WW II, a fun-loving cowgirl, a sultry MTV rocker or a cosmic alien queen from Flash Gordon, Olivia Newton-John was made of awesome...until she cut her golden tresses for her Physical album. Somehow that broke her spell over me. I then fell in love with Stevie Nicks.